The Irish Independent has just run a story on holiday makers who should read the fine print when hiring a car abroad to avoid rip-off fuel charges and hidden costs. A very similar story to that portrayed in the British media this summer warning those hiring a car to take great care that they are not ripped off. According to the 6th August report by Allison Bray "A poll of 3,700 respondents by AA Ireland found that one in five had negative experiences when hiring a car in the UK, Europe and America, with hire companies in Italy and Spain generating the most complaints"
Problems in Spain about petrol costs - a lot of car rental companies at the lower end of the market are making renters pay for a full tank of petrol and making them return the vehicle empty and if you don't use a full tank....you lose money on the deal - it is also happening in Portugal. Ensure that the car hire or travel insurance company has documented terms and conditions that meet all legal requirements. When inspecting a car before hiring it, look for damage that may be attributed to the driver later and check that all switches, indicators and controls are in working order. If booking a car online, ensure that the payment quoted is the final price and be mindful of airport surcharges and the company's insurance policies. 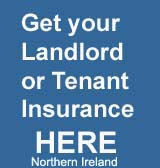 The post-rental inspection should be confirmed in writing and signed by both the hire company and the driver. If the car is returned outside of business hours, park in the designated parking area and photograph the car so that damage charges cannot be added on the following day. At the end of the atricle online comments are invited and unfortunately the home car hire market in Ireland gets a bad comment once again with complaints about being overcharged at Dublin and Shannon Airports. This problem has been going on for years and is not good for tourists and business visitors coming to Ireland. 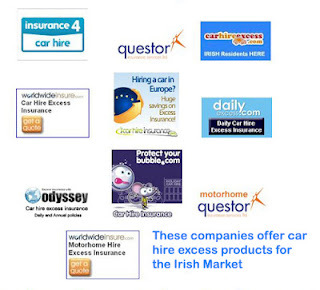 The insurance4carrental.com site has a lot of car hire excess companies advertising on it who cater for the Irish market including local Dublin company Blue Insurances - carhireexcess.com, Questor Insurance, Worldwideinsure and insurance4carhire.com Find out more here and don't forget to read the small print when you hire a car anywhere even at home.